However, it seems this language has been co-opted, given that corporations are now more than happy to gesture toward a radical acceptance of difference, as long as the gesture remains tied to a particular notion of futurity (read: you’re welcome in our country barring you don’t threaten our bottom line). This serves two purposes: it appeases those whose politics is solely concerned with representation—that is to say, it appeases those who believe a Muslim or gay CEO is peak radicalism—while also stymying the creation of a global anti-capitalist movement. But what of people with no future—those who, unable to live up to Western standards of success, are prohibited from enjoying the “benefits” of a free market? Surely there remains a group outside the capitalist order, against which that order is then defined. 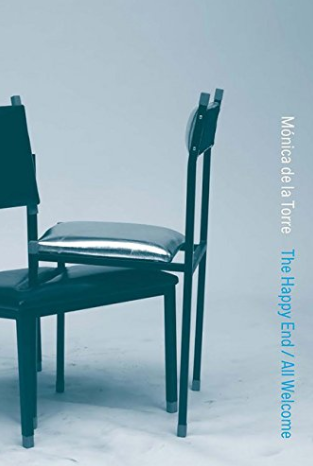 De la Torre foregrounds this complication in The Happy End / All Welcome, a collection that dedicates much of its content to illustrating the globalized job market’s almost limitless acceptance of difference, raising yet another question: which aspects of multiculturalism remain inconsumable by the capitalist machine? The Happy End / All Welcome is set in a space inspired by the Nature Theatre of Oklahoma, which first appeared in Kafka’s unfinished novel Amerika and was later, as the introductory note to the collection states, referenced by Martin Kippenberger in his installation The Happy End of Franz Kafka’s Amerika. A theatre is a fitting point of reference; plays are, after all, a medium exceedingly attuned to the spatial. One could, in fact, read The Happy End / All Welcome as an elaborate stage piece in which the farcical characters of late capitalism are paraded about (here we have the assistant manager, here the assistant to the assistant manager). We, the spectators, are tasked with determining which characters are absented from the space of the theater. We can continue this process of subtraction, hoping that we might eventually discover a group that lies outside of capitalism—an abject people—but the point has been made: no such group exists. We are working with(in) a universal system. The connection to Kafka’s Amerika therefore becomes evident: like the Nature Theater of Oklahoma, where everyone is promised a job, the truth of capitalism is that it has completely incorporated this language of difference into its structure. Thus a politics solely concerned with this language (and its endless proliferation) can no longer function as a check to capitalism’s destructive impulses. Sitting erect, pelvis curved out, cross-legged or with legs parallel. Sitting erect, slightly leaning forward, resting elbows and arms on desk. Reclining on chair, propping up feet on desk. It seems as if de la Torre is using the body to cut across sociological categories such as race and gender, to cut across the very difference that underlies these categories. This is by no means a denial of the importance of race or gender, both of which are tied to the ways in which we view bodies; these phenomena have political import and should be considered when engaging in any sort of critical discussion. Rather, de la Torre seems to be suggesting, along with neo-Marxists like Alain Badiou, that we must resuscitate a form of political engagement that is based on universal truths—the truth that we all inhabit a body, the truth that we are all subjected to the indifferent flows of capital. In short, a universal system of oppression must be met with a universal project of emancipation. The Happy End / All Welcome also represents a turn away from certain theorists whose work questions the efficacy of a politics based on an appeal to futurity (Lee Edelman, among others). These theorists, who view capitalism (and the all-pervasive figure of the child that underpins it) as the system most concerned with futurity, and who subsequently advocate for a politics that rejects futurity outright, miss that capitalism doesn’t promise a future to anyone, except, of course, in a limited sense (global oligarchs, the one percent). Their response (“no future”) is merely a nihilist’s acceptance of this fact. De la Torre, however, is committed to the future, and to be more precise, a particular future, one in which resistance is possible. This commitment requires something beyond the false radicalism of capitalist multiculturalism, something that perhaps finds inspiration in Paul the Apostle’s famous maxim: “neither circumcision nor uncircumcision.” Neither capitalist multiculturalism nor a resurgent fascism. What counts, in that venerable saint’s logic and in the logic of de la Torre, is the new. 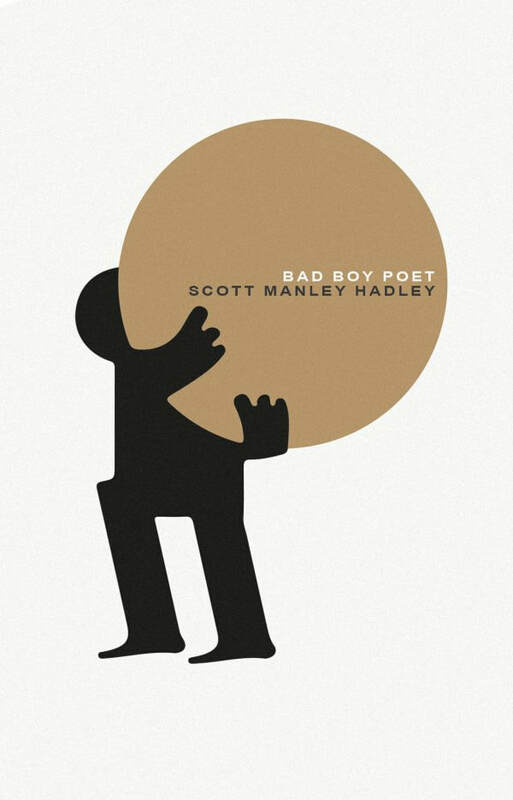 Michael Kirby is a student at The Graduate Center, CUNY, and his work, both creative and critical, can be found in Spikes Arts Quarterly, Jacket2, and Best American Experimental Writing 2016. He tweets: @miclkrby.